This section summarizes the changes that have been performed on the Modelica standard library. 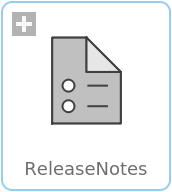 Furthermore, it is explained in Modelica.UsersGuide.ReleaseNotes.VersionManagement how the versions are managed with the subversion management systems. This is especially important for maintenance (bug-fix) releases where the main version number is not changed.